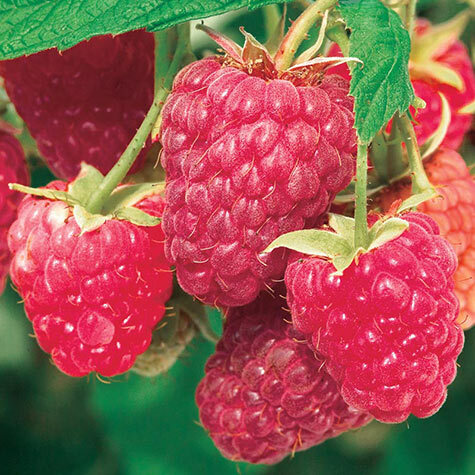 Caroline Raspberry | Gurney's Seed & Nursery Co. Produces some of the largest berries of all fall-bearing types. Very productive with a strong raspberry flavor. 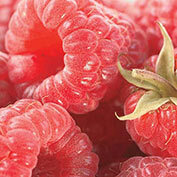 Grows almost anywhere, including the South, where berries ripen as early as June. Tolerant to root rot and has a high resistance to gray mold. Self-pollinating. Zones 4-9. U.S. Patent No.10412. Depth: Same depth as they were in the nursery. 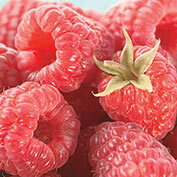 Fruit: Large, round, firm, juicy, red berries. Everbearing, producing one crop in early Summer and one crop in the Fall. Zone: 4 - 9 (-20° F.). Soil Requirements: Organic, well-drained, slightly acidic, sandy loam soil. 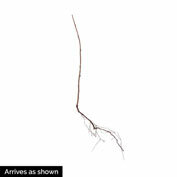 Pruning: Thin fruiting canes in late Winter or early Spring before they start to grow. Remove all weak canes and thin the strong canes so they are 4 - 6 inches apart over the width of the row; narrow rows if necessary to 15 - 18 inches wide. Comments: This is THE standard for all red raspberries. Produces the largest berries of all Fall-bearing types. Productivity is very high, (plants are loaded with berries). The plants are very adaptable. Suited well for the South, where berries ripen as early as June. Tolerant to root rot. Plant Patent 10412. If planted in heavy soil, add peat moss, dehydrated cow manure, or compost. Hold plant in the hole, spread roots, plant crown 1 inch below soil; Fill 1/2 way; compact soil; complete filling; compact soil; water well. Susceptible to verticillium wilt. Do not plant where tomatoes, potatoes, eggplant or peppers have been grown in the past 3 - 4 years. 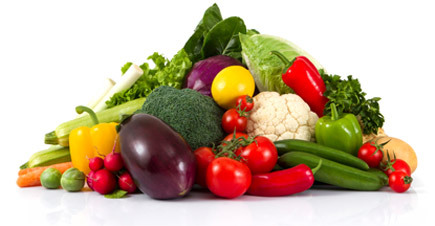 Plant as far away from these vegetables if growing them. Can train to trellis. Berries are ready to pick when they separate easily from the stems. Birds may eat the berries.